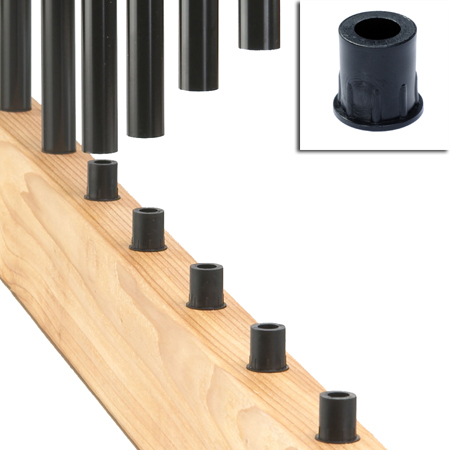 The Deckorators colonial round aluminum turned baluster is available in bronze or black. They are 26" long baluster that will create a 36" rail height. This turned aluminum balusters will offer a rich look that you desire for your deck. This baluster is 100% maintenance free, will not warp, fade, or rust. Aluminum balusters are powder-coated with AAMA2604-compliant material, which provides five times the outdoor exposure and twice the humidity exposure as AAMA2603.Finished in soft satin, this baluster is durable and designed to withstand all outdoor elements. Deckorators colonial round aluminum balusters add character to your railing and offer a sleek aesthetic for any ambiance. Deckorators Colonial Balusters combine the look of the Classic Baluster with a design detail that recalls traditional Colonial times. The rich look provides a distinguished appearance not found when using 2 x 2 wood baluster. 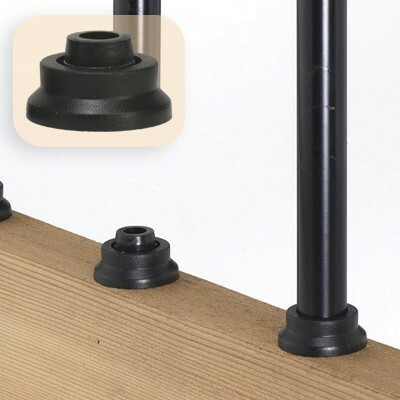 Using baluster connectors will make installation a breeze. Avoid drilling when you can simply screw in a connector and insert baluster onto the connector. I was very pleased to find that Deck Expressions had in stock a baluster that was no longer being made by Deckorators. The baluster was needed to complete the railing on an extension to our deck. The order of 50 balusters from Deck Expressions was received timely and was neatly packaged.